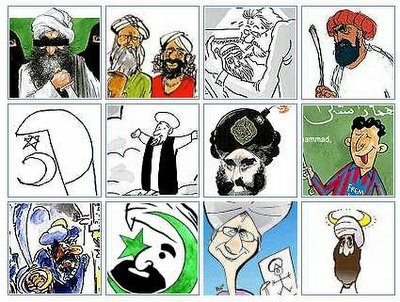 None of us is a cartoonist, so to support Everybody Draw Muhammad Day – May 20, 2010 – we show all 12 of the original cartoons that were published by the Danish paper Jyllands-Posten 0n 30 September, 2005. This is the best of them, by Kurt Westergaard. In deliberately stirred-up rage over these drawings, Muslims killed at least 139 people in various countries, most of them during riotous protest rallies. The right response to Muslim protest would have been for all the editors of all the newspapers in all the countries that claim to to be free, to re-published the cartoons by agreement on the same day. Like all ideologies, Islam needs to be examined critically, challenged by reasoned argument, and subjected to jokes of all sorts, including cartoons. 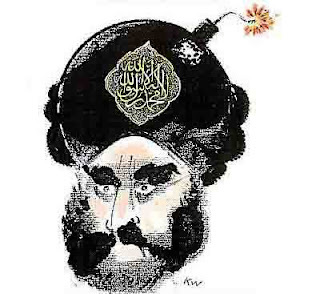 Footnote: See a selection of today’s drawings of Muhammad here.